With only a year left until the 2012 Olympics, we’re getting very, very excited! And it’s not just about the big events, such as the 100m sprint – there’s all types of exciting events to watch. To prove our point, last week James and Robot spoke to one of Great Britain’s strongest medal prospects for London 2012 – British Taekwondo Champion, Aaron Cook. They found out about Taekwondo, his preparation for the Olympics and loads more. 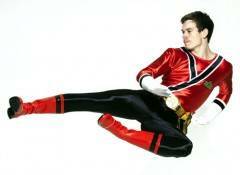 Including his experience recently of being transformed into a real-life Power Ranger – how cool! Tune into Breakfast with James and Robot every morning from 6.30am – the only breakfast radio show dedicated to kids! 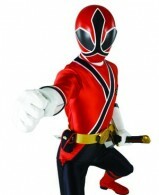 Win Power Rangers Samurai Toys and Martial Arts Lessons! Ahead of the new show starting on Nickelodeon and Nickelodeon HD, Power Rangers Samurai, we’re giving 10 winners the chance to attend UK’s only Power Rangers Martial Arts Academy to learn how to become a Power Ranger! Plus the ultimate winner will also win a goody bag of Power Rangers Samurai toys from Bandai, including action figures, a Megazord and a Disc Cycle!